Description: This 625-foot, 56-story residential tower includes 450 condos, 231,000 sf of retail, a grocery store, and Class A office space. The project is sited in Downtown Crossing and is a major factor in the rejuvenation of the area. 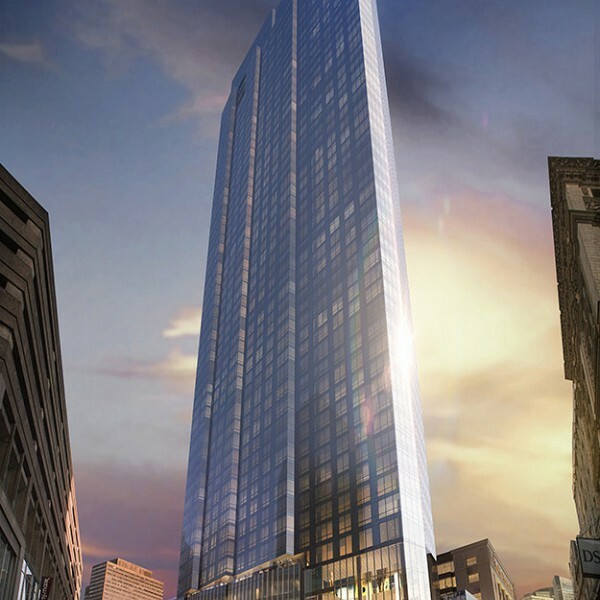 Cosentini provided code consulting services for this luxury high-rise building.